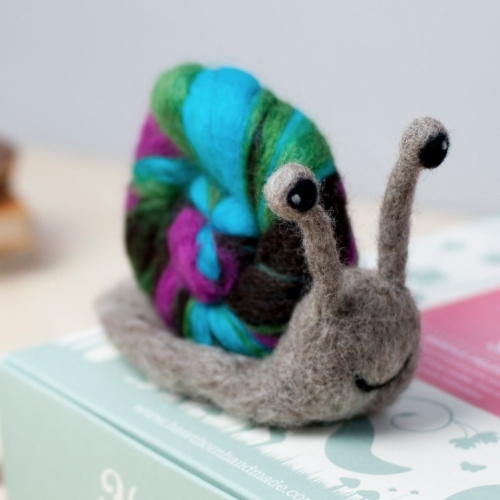 Learn how to needle felt a Snail using British felting wool. 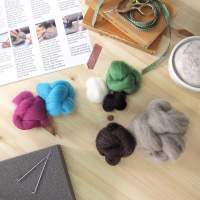 Follow the step by step photo instructions and use the included felting needles to stab the wool to life. More than enough high quality British wool in a variety of breeds and colours. 2x Felting needles in a secure holder to keep them safe. 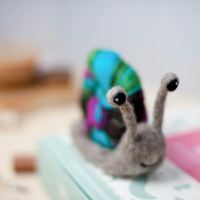 Our ‘can’t go wrong’ instructions with 27 step by step photos, a size guide and introduction to needle felting. Beautiful gift box to store your project in as you make it.